Finally was founded on the notion that people should not have to sacrifice light quality for energy efficiency and long life. Based on this belief, CEO and Founder, John Goscha, set out on a mission to elevate the standard of energy efficient lighting. He assembled a team to modernized Tesla’s original technology and successfully developed a new light bulb that is changing the industry. 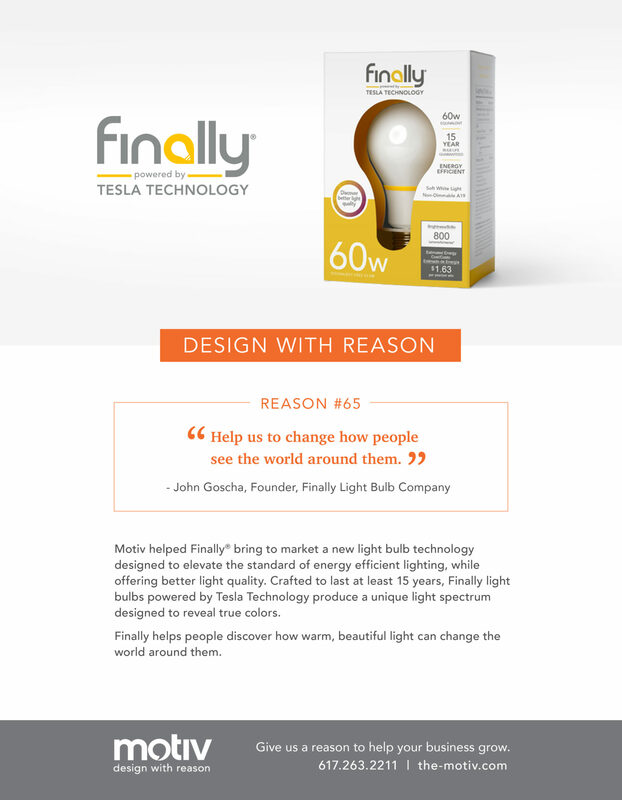 Motiv is proud to have played a role in bringing that bulb to market.